This is the story of Athena, or Sherine, to give her the name she was baptised with. Her life is pieced together through a series of recorded interviews with those people who knew her well or hardly at all – parents, colleagues, teachers, friends, acquaintances, her ex-husband. The novel unravels Athena's mysterious beginnings, via an orphanage in Romania, to a childhood in Beirut. When war breaks out, her adoptive family move with her to London, where a dramatic turn of events occurs. Athena, who has been dubbed 'the Witch of Portobello' for her seeming powers of prophecy, disappears dramatically, leaving those who knew her to solve the mystery of her life and abrupt departure. I have both heard and read rave reviews about Coelho for a number of years. I currently have five of his novels on my shelves waiting to be read, and this one is the first I have ever tried. 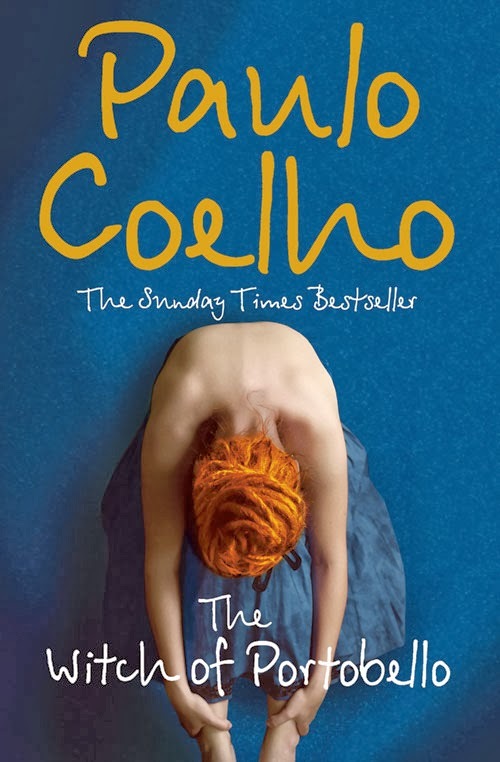 Readers say that Coelho changed their lives, and encouraged them to think about things in different ways, which then led them to enlightenment and happiness. Being quite open to enlightenment and happiness, I was so excited at giving his novel a try. I was deeply disappointed. The book is comprised of a collection of interviews, which describe the life of Athena. I really enjoy novels with multiple narrators, however the narrators were dull, with many of them being incredibly similar. I found it difficult to ascertain which character was telling the story, as their narration styles didn't differ, and their messages were mostly the same. I didn't care for any of them, and would go as far to say I hated some - our protagonist most of all. Athena is on a mystic, spiritual quest. The reasons behind this, and her beliefs on the matter, are presented in the most fuzzy, difficult to understand way imaginable. I felt completely out of the loop, as I had very little prior knowledge of spiritualism or New Age beliefs. I didn't understand any of it. Feeling isolated as a reader is such a page-turner. What I did understand, was that Coelho was trying to feminise God. I completely get that. I'm not religious in the slightest, but I see both masculine and feminine parts of nature, and I see the world working in both masculine and feminine ways, all at once. Coelho's feminism failed me, however, by categorising women into one of four types - witch, martyr, virgin, and saint - reminding us of our societal oppressions of the past (remember when you were all burned at the stake? ), and calling us all witches anyway. Brilliant. An interview with Coelho at the end of the novel sees him defend this, saying all women are witches as they have a sixth sense, a higher perception than men. I'd rather he called us goddesses, or even deities, however only Athena was given that title in the novel. I'm in no way blasting people who have read this and have taken something from it - I love that a book can evoke that in a person. It just didn't engage me enough; I wasn't interested nor awake enough to understand the love and spirituality Coelho was trying to preach. And it was preachy. At times I felt if I smoked a load of dope and had a pen and paper, I too could come up with something this deep. This is one of those novels I have to get rid of and put behind me as best I can. Having looked into this further, I can see that many others have been disappointed by this one, so hopefully the other four on my shelves can do some justice to to Paulo Coelho rave reviews that excited me so much in the first place.